Immaculate detached condo, located in the highly desired neighborhood of Northpark Square. This turnkey home features 3 bedrooms, 2.5 bathrooms and 2 car attached garage. Newer hardwood floors downstairs, brand new carpet upstairs and new paint throughout the interior makes this home move in ready. The kitchen features granite countertops, a breakfast bar perfect and nook for dining and plenty of cabinets for storage. The master suite offers french doors out to the balcony, separate tub and shower, dual vanities and a walk in closet. 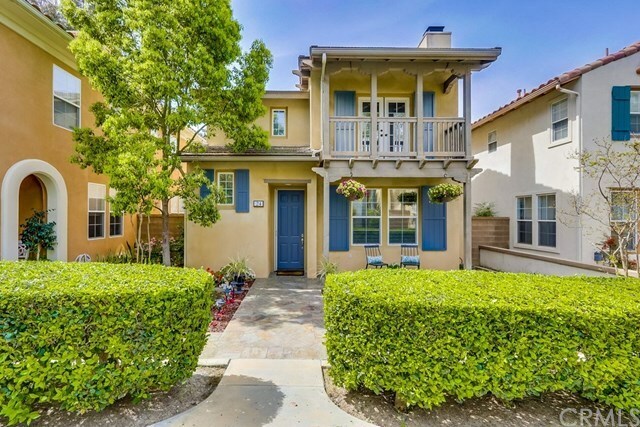 This home is conveniently located within easy walking distance to award winning schools, the Northpark shopping center, with easy access to toll roads, shopping and entertainment at the Irvine/Tustin Marketplace and the District, as well as the many running/walking/biking trails. Resort style amenities including multiple swimming pools, spas, basketball court, bbq areas, parks, and more.